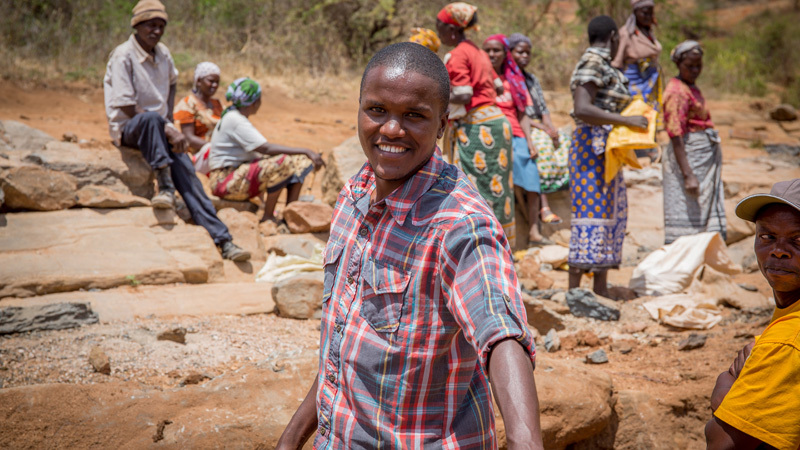 Sabeth Kitonyo, Kitui resident, worked on the project over the two years – learning about new farming techniques and crushing rocks to build the sand dams. There has been a lot of change in the spirit around here since the project began, and in particular there is now a lot of love. We help each other out – we’ll give money if someone is sick or needs school fees. It makes me happy when we work together. Before, we never knew one another, but now there is love in all corners of Kitui. Before, some of us could not get up early in the morning, but now we have a purpose. We have been brought to a new world. Many, many thank yous. God knows that you have helped us. 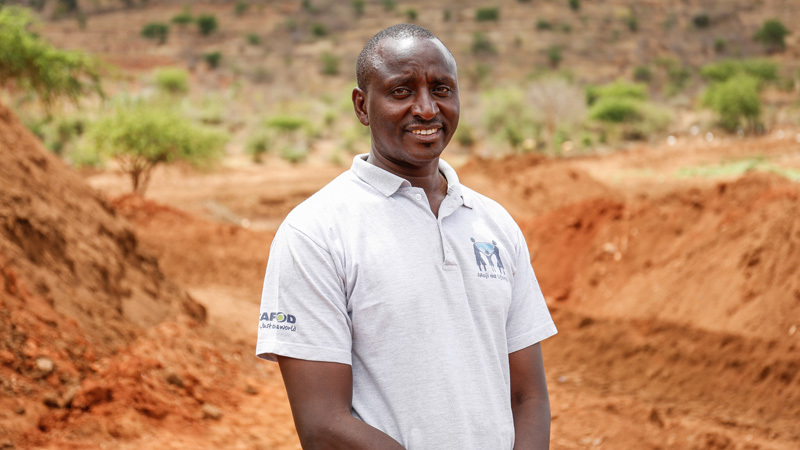 Mike Musyimi, Project Officer for CAFOD’s local partner Caritas Kitui, will continue to work with the community to ensure the ongoing success of the project. Every day when I wake up, I look forward to working with this community. They are friendly people and they are very jovial. You will often find them singing and joking with each other as they work. I can see a bright future for the community in Kitui. Now that the dam is complete, they will have enough water to do lots of things they haven’t been able to do over the past few years. For example, they will be able to grow a lot of vegetables here. They are hardworking farmers and I believe people will come from far and wide to buy these fresh vegetables. 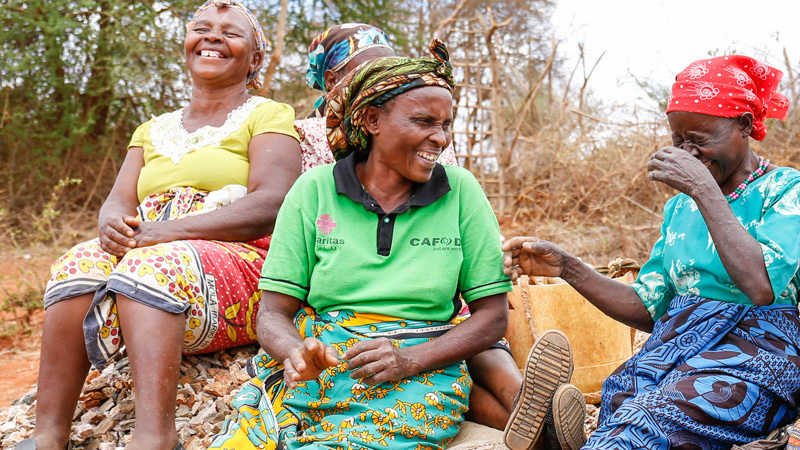 The community in Kitui have an eye for the future and it’s very exciting to see their commitment paying off, as their hopes begin to be realised.